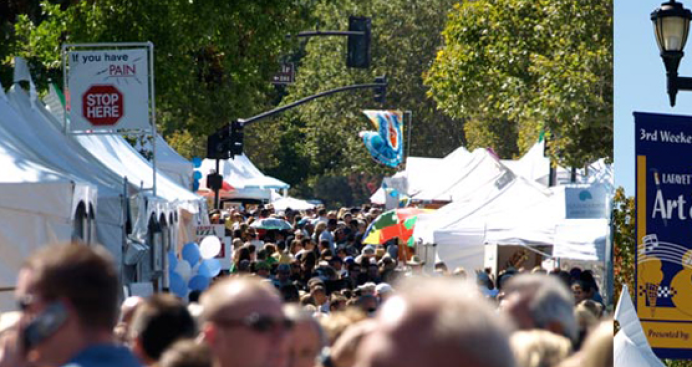 Join NBC Bay Area for a day of fun at the Lafayette Art and Wine Festival! Enjoy great art, music, and a stroll with your best friend. This is the largest event in Lamorinda and one of the biggest outdoor festivals in Contra Costa County. Over 50,000 people are expected to stroll among the stalls of art & handmade crafts while they sample foods from local restaurants and enjoy quality wines and microbrews. For the visitors guide and other information, click here.